I found information about this album on the internet. Well not much information, just the year of release. I also saw that a copy of this album was going for $9.27. What an odd number. My copy would not command such a lofty price as the cover is in shambles – the old masking tape that held it together is disintegrating, but the disk is in very good shape. 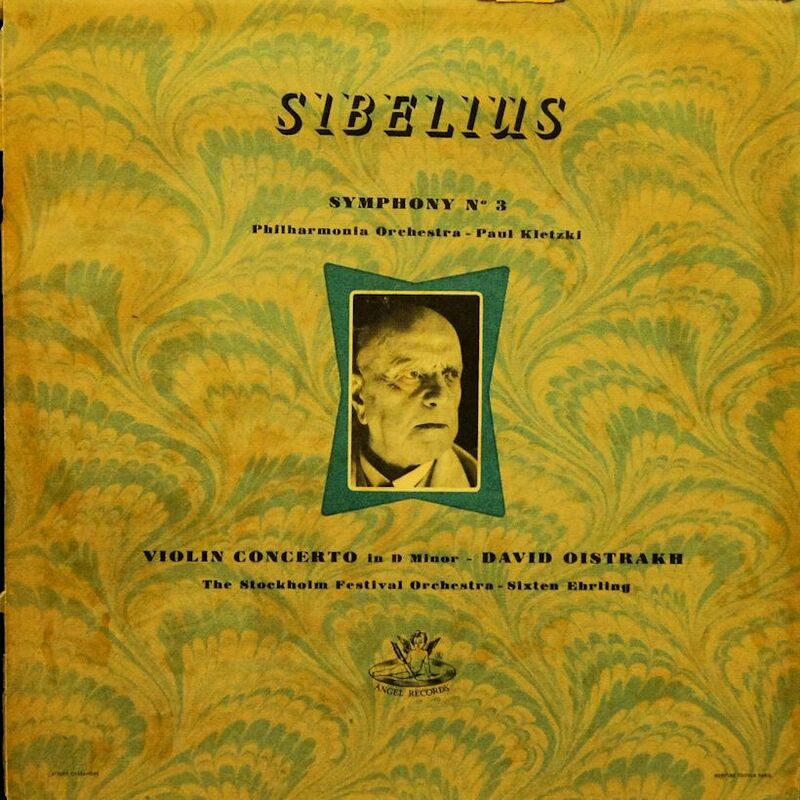 But I sit here and listen to this classical, romantic, at times sparse music and wonder why I have so much Sibelius. Well, I was into it for a while. That has passed. I hope I don’t pull out any of his albums soon. I could have sworn I had reviewed this wine. But I haven’t. I friend had given this to me while we were sitting up at their cottage in Northern Ontario. It was a very nice evening and what I remember of the wine was that it was unremarkable and OK. The other wines we drank – one over 10 and one under, evoked a storm of controversy over colour, smell, taste and all the other wine snob things. This one was had quickly and succinctly without nary a comment. Featureless wines are not exactly a desirable concoction. Why would one consume something that has no character. Then again – bad characteristics, even the slightest one, can forever mark a wine as undrinkable. This wine is OK – from what I can tell – neither bad no good. There has been a lot of noise lately about featuring women on currency. This Monday, April 25, 2016, The Globe and Mail ran a center spread on this subject. Prominent Canadian women sounded off on who they think is should be on our currency. I am perplexed by the amount of ink and airspace devoted to debating the inclusion of a woman onto our currency. I have a 20 dollar bill in front of me and it seems there is a woman staring back at me. I believe she be the queen of this land – appearing on our coins and some stamps as well. Is this debate just not a convenient smokescreen to avoid discussing the gender gap, pay inequality, healthcare issues, abortion, missing women, and so on. There are a lot of issues in Canadian society. Many issues with inequality to be dealt with. Why-oh-why is the issue of putting a woman on the currency gaining such traction over other issues. I applaud the US for finally putting Harriet Thubman, an African-American who helped free slaves, on a bill. And when we replace royalty with someone else on our currency it will be nice to. Are we not moving more and more to digital money anyway? I honestly don`t know who`s face is on the money in my pocket. The issue only struck me today when wile reading the article in the Globe there was a 20-dollar bill on the table with the Queen gazing at me sternly. Let`s just put this one to bed and discuss graver issues. It was quite late in the evening and I was playing with my camera. 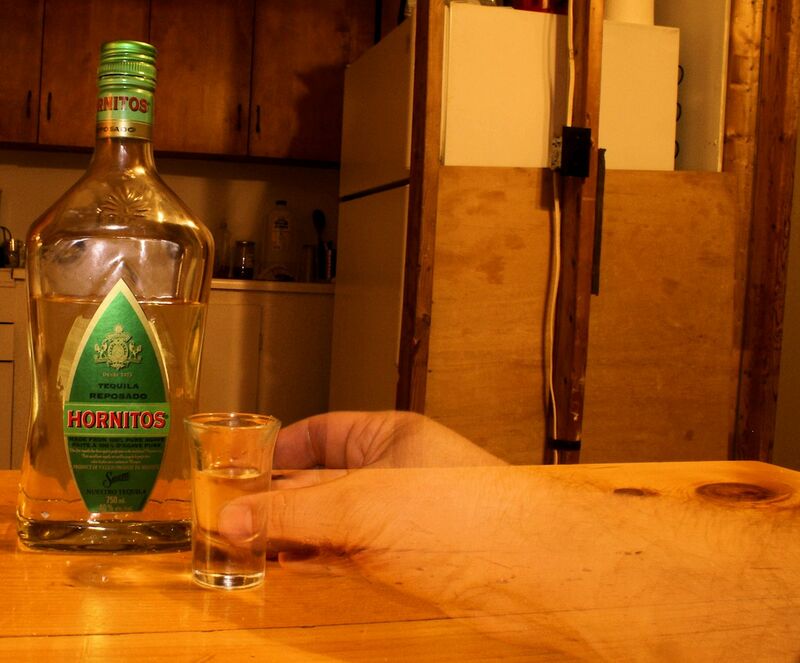 A flash and a long exposure gives this ghostly effect of a hand reaching for a shot glass of tequila. This is as close to a selfie as I’ve ever come. The music here is very forgettable. 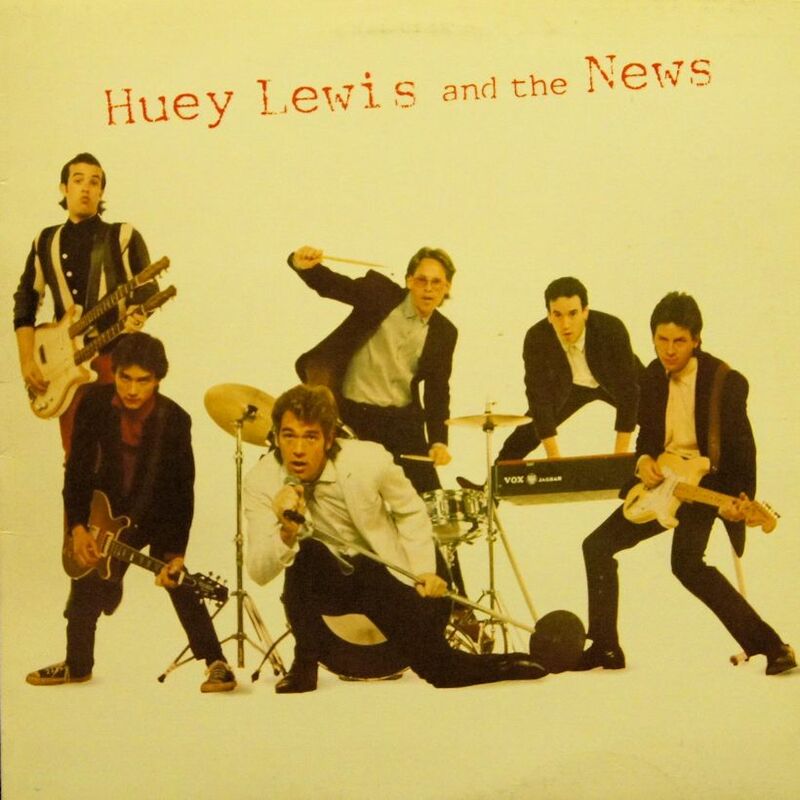 Huey Lewis and the News had a bunch of hits in the 80s and 90s. None of them are here. The music is very late 70s early 80s bar rom Rock’n Roll. The music is over produced. It is very clean. It sounds a bit like soundtracks for 80s sitcoms. Needless to say, the music has not aged well. I’ve listened to this album twice now to find some redeeming factor in it. Musically I could not find anything. Lyrically the songs are a jumble of clichéd platitudes and nonsense. It works for the style of music I guess. The only redeeming factor that I could find is the act that one of the band members on the cover is holding a double-necked Danelectro guitar/bass. That’s a cool rare instrument. I kept this bottle on the shelf longer than most because I really liked the classy looking label and the fact that it was under eight bucks. That’s a low, low price and I was quite hesitant to try such a wine for fear that it was really low grade kill. But the day came when the cupboard was bare and this one last wine tempted me with what I must reiterate is a very nice clean looking and very upmarket label. It is not bad for the price. I have had worse wine for a dollar or two more, but I am not convinced that I would buy this again.